In talks with Kim, Kang expressed her hope that the North Korean leader would promptly make a visit to Seoul to strengthen the drive to bring lasting peace to the Korean Peninsula. The North's leader agreed earlier to visit the South Korean capital before the year's end to reciprocate President Moon Jae-in's trip to Pyongyang in September. The conversation was conducted in an amicable atmosphere, with Kim extending greetings to Moon, a ministry official said. The minister also briefly met with Ivanka Trump -- U.S. President Donald Trump's daughter and a White House adviser -- the ministry said, without elaborating further. 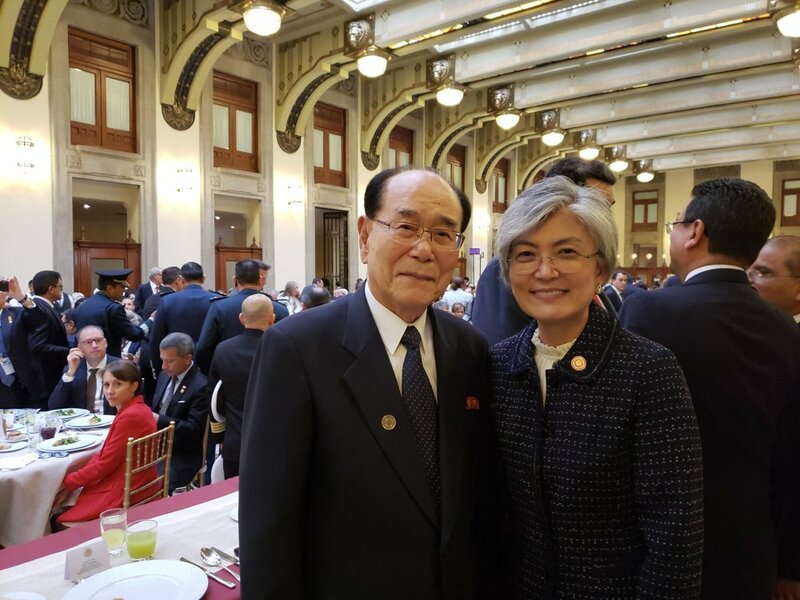 Kang also met with the new Mexican leader and delivered Moon's congratulations along with his willingness to maintain the two countries' "strategic partner" relationship. On Friday, Kang sat down with her new Mexican counterpart, Marcelo Ebrard, and discussed ways to expand cooperation, the ministry said. 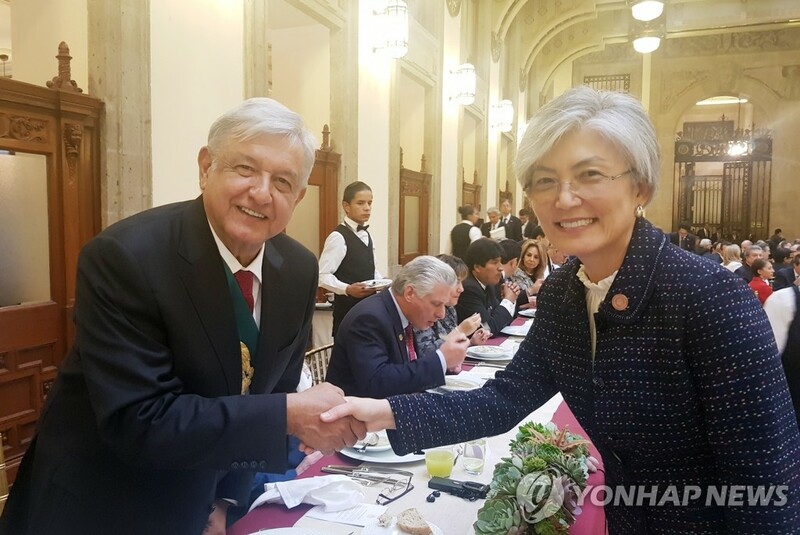 During the ministerial meeting, the South Korean minister asked for Mexico's support for Seoul to join the Pacific Alliance as an associate member and invited Ebrard to visit Seoul sometime next year, it said.